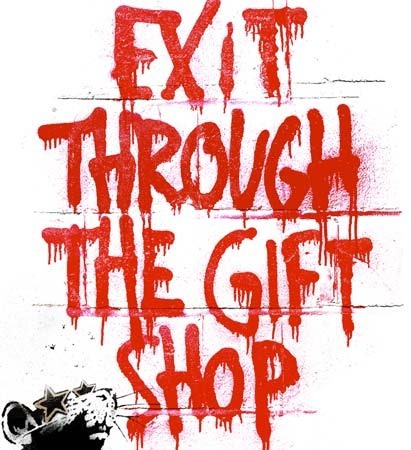 Here is the movie trailer for the Bansky film "EXIT THROUGH THE GIFT SHOP"
I can't highly recommend this film enough which is now out on DVD and BluRay. It is truly a genius film about mad men. 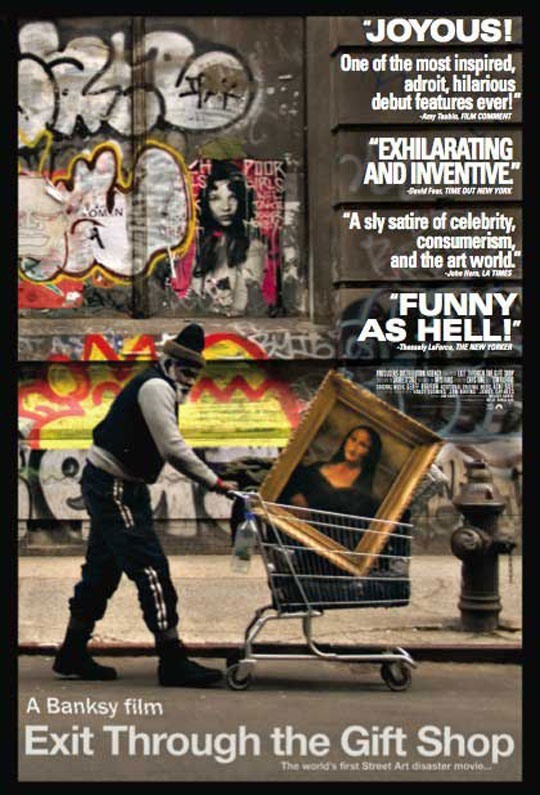 The film is clever and provides a tremendous insight into the art world and underground poster art culture. Bansky is the same guy who recently made the highly controversial opening to the simpsons. 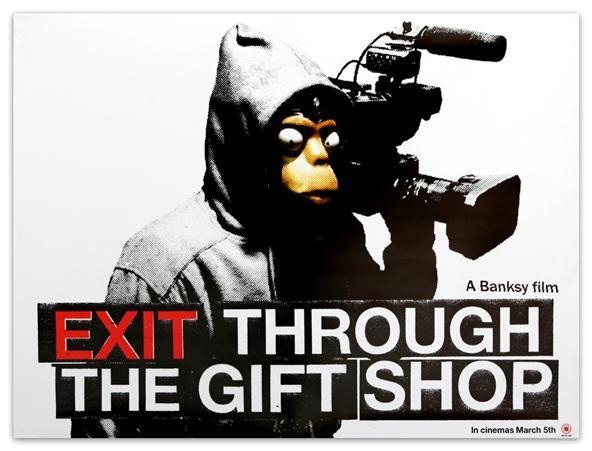 Exit Through the Gift Shop: A Banksy Film is a film which tells the story of Thierry Guetta, a French immigrant in Los Angeles, and his obsession with street art. 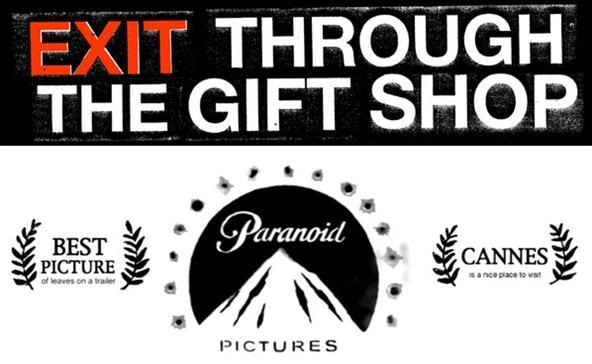 It is presented as a documentary, but reviewers have questioned its factuality. 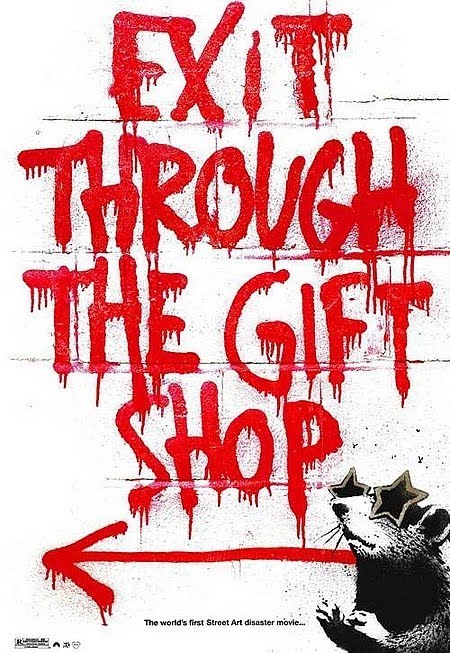 The film charts Guetta's constant documenting of his every moment on film, to his chance contact with his cousin, the artist Invader, and his documenting of a host of street artists with focus on Shepard Fairey, and also Banksy though the latter's face is never shown, and his voice is distorted to preserve his anonymity. The film premiered at the Sundance Film Festival on 24 January 2010. It is narrated by Rhys Ifans. Music is by Geoff Barrow. It includes Richard Hawley's "Tonight The Streets Are Ours." It has been nominated on the longlist for the Best Documentary Feature Oscar for the 27 February 2011 Oscars.